What is better a regular bathroom scale or one that measures body fat as well? I am shopping for a bathroom scale and found that there are so many out there. 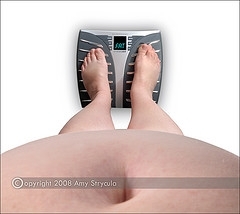 What is better one that measures weight body fat and bone mass or just a scale? And what are the pros and cons about them? I need to lose weight and get and stay healthy.